Here it is! 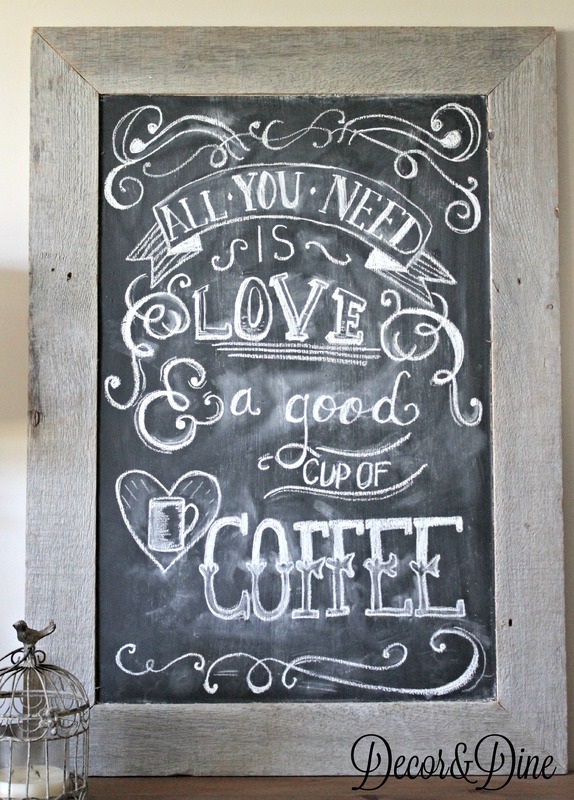 My barn wood chalkboard! The great thing about having a to do list for my husband is that he, unlike me, is not a procrastinator. He usually gets a smirk on his face when I tell him my ideas…but after it’s done I can tell he is pretty pleased with himself. 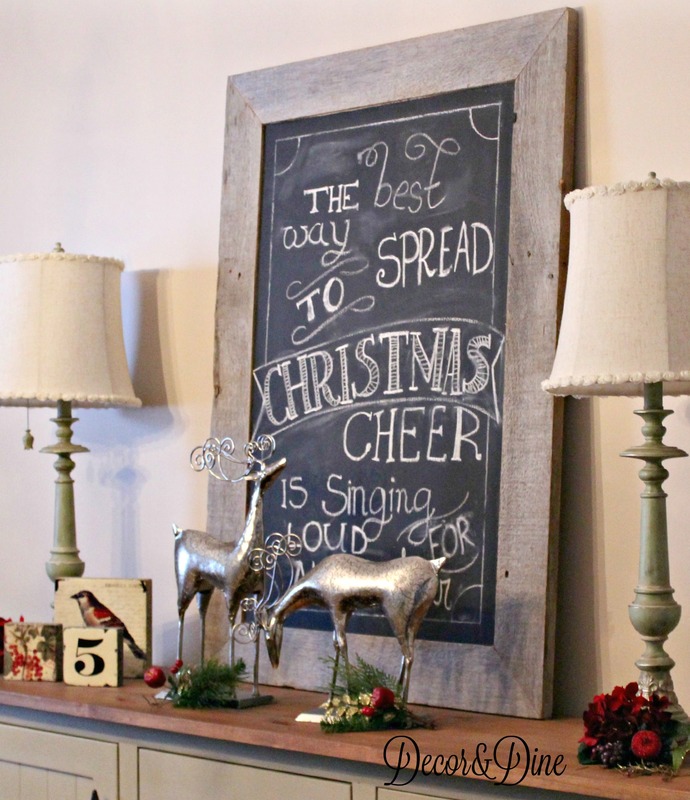 Of course I say we because it was my idea, his carpenter skills, my painting skills…and the kids artistic writing skills. I gave him some measurements…not really accurate. You can make it as small or as large as you want. 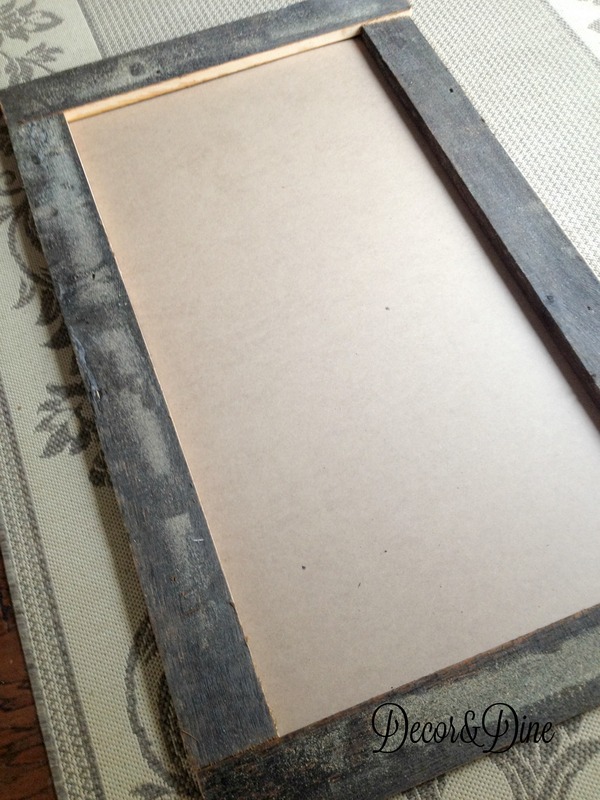 My husband cut a piece of plywood then made a frame on top of it out of old barn wood. We found some barn wood on our farm and it’s been great for so many projects. I was happy with how the barn wood corners looked but hubby wasn’t and decided to miter the corners. I’m not that picky but I have to admit it does look better…the corners are pretty easy to do with a miter box (so he tells me). He used carpenter glue and nails to hold the barn wood to the plywood. I gave the plywood two coats of blackboard paint and kept the barn wood untouched. Now I have a great place to write messages throughout the year…I call on my girls for that! Thank you so much Lisa. I always leave the writing to my kids, my penmanship is just awful. Happy Holidays to you as well! Hi Margaret, you’ve done a lovely job with this chalkboard project. I love the rustic wood trim. I’ll have to give this a try after I practice my chalk-penmanship. Thanks Nellie. They do have fun with it.Thanks for coming by, hugs! 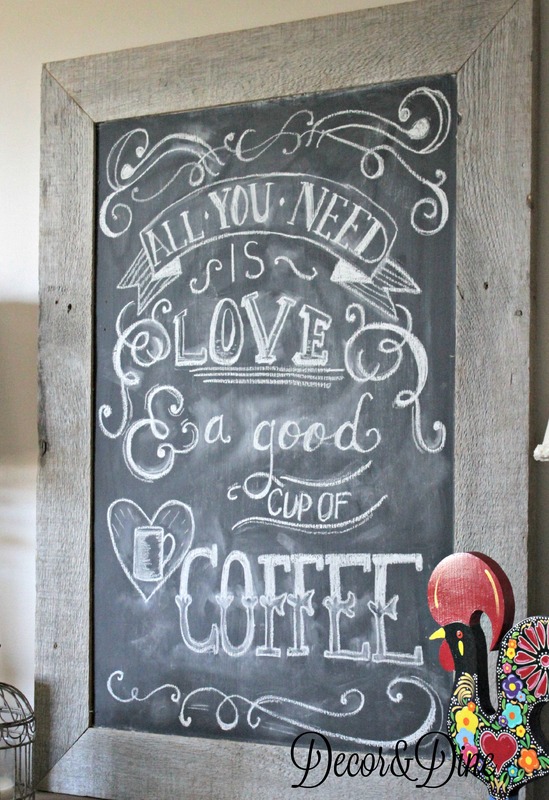 heart desires on your chalk board………….. Your girls do a great job with that too.